Did you know that you can find Hawaii based high-performance organic skin care, JK7®, in NYC? Sold exclusively at Osswald Perfumerie. Book your personal beauty session through the end of April and receive a Unique Hair & Body Wash 30ml as a participating gift. Be the healthiest and most beautiful version of YOU! Regenerieren Sie Körper und Geist, geniessen Sie die Wellness- und Schönheitsangebote und gönnen Sie sich eine Auszeit vom Alltag. JK7®’s famed Rejuvenating Serum Lotion recently had the unique and extremely fun opportunity of being featured on Season1, Episode2 of the VICELAND show, MOST EXPENSIVEST. Our newest home is the remarkable Amour Fou at the Hotel Mandarin Oriental in Munich. We would like to extend a warm welcome to Ulla Huprich and her team at Amour Fou – Spa de Beauté. Celebrating its 60th Anniversary and our newest home, is the remarkable Naturkosmetik Stebler on Quaderstrasse! We announce with great pleasure, that JK7® Luxurious Natural Skin Care has embarked on a soulful journey within the glorious old world city of Chur, Switzerland, at the finest purveyor of, “products (which) are exceptional works of art handmade with love, and in the best quality by family businesses”. We are overjoyed to share with you, that The Sullivan Estate & JK7® Spa Retreat, including our JK7® Lab, has been featured on CNBC’s Show “The Secret Lives of the Super Rich”! 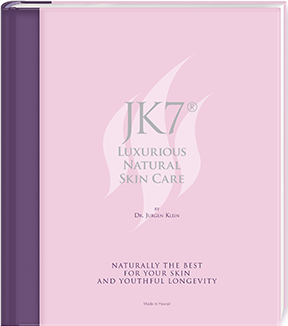 Discover the World of JK7® - stay tuned for exciting news about Beauty, Health and Wellbeing. Copyright © 2019 JK7 SPA & WELLNESS LLC. All rights reserved.